At Pams we are delighted to present this product available for flower delivery in Corby. We can arrange for a delivery up to a 12 mile radius at extra cost. 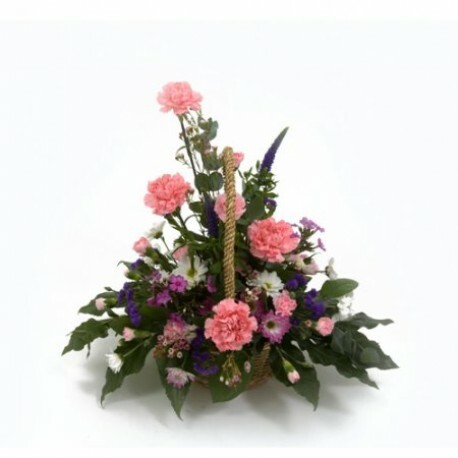 This stunning basket arrangement can be arranged in the colour of your choice.